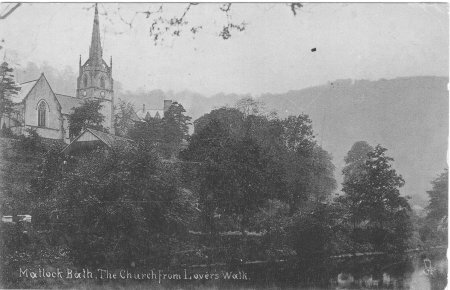 Holy Trinity, the Parish Church of Matlock Bath, was built in 1842 to deal with the increasing population caused by tourism. 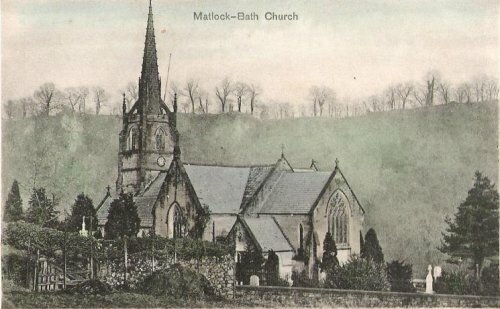 Matlock Bath became a parish separate from Matlock (St Giles) in 1843. 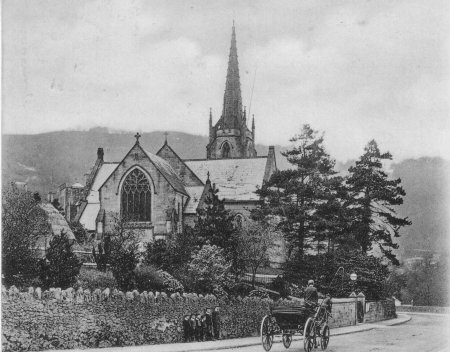 Derbyshire Records Office holds records of Baptisms at Holy Trinity from 1842, Marriages and Banns from 1844 and Burials from 1845. 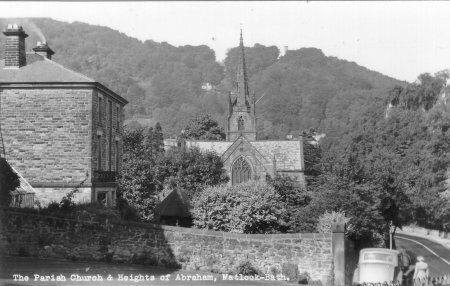 The Church stands by the main road (now the A6) at the South end of South Parade, near the New Bath Hotel. Holy Trinity is unusual in being aligned North-South instead of the usual East-West, and the Altar points to the South. This was a necessity of the narrowness of the valley and the late building of the Church, the only site still available for a building of this size being a small shelf of Tufa (hard limestone). The church has a very tall spire. George Saxton who was proprietor of the Old Bath Hotel, and Edward Beaumont played important parts in establishing a need for the church and raising money towards the building.